What Can iOS 8 Tell Us About Future Apple Products? This June, Apple announced the new version of their mobile operating system, iOS 8. This is the operating system that will power the upcoming iPhone 6, the new line iPads, and possibly be adapted to new products like a smartwatch or a new Apple TV. Although we don’t know much about these devices yet, some features in the new OS may point towards the direction Apple is going with their future products. When Apple releases new devices, people are going to want to run their favourite apps on them. Currently, Apple has separate AppStores for Macs and iOS devices, and it is reasonably easy to find apps for those devices. If Apple ends up expanding their product line to include more advanced Apple TVs or smart watches though, finding apps may become much more difficult. The AppStore would become more cluttered with each new device they release, not to mention, navigating the AppStore on your watch would likely be a frustrating experience. This problem may be solved with one of iOS 8’s major features, extensions. Extensions are separate, mini apps that can come bundled with apps downloaded from the AppStore. At launch, iOS 8 will support notification centre widgets, extra keyboards, and more as extensions, but this idea could easily be expanded to include “apps” for peripheral devices as well. In this way, when you download an app for your iPhone, it could come with an extension for your watch that communicates with data on your iPhone, and you could avoid having a new AppStore all together. Your smart watch would be automatically populated with content based on the apps you have installed on your phone. Up until now, Apple devices have had very consistent sizes. Since it’s release in 2007, the iPhone display size has changed very little. It doubled the resolution for the iPhone 4, and added some extra vertical space for the iPhone 5, but both of these changes were carefully planned to ensure old apps were compatible with the new screens. When the iPad was released, developers were typically expected to make an entirely new interface for the new screen size, and maintain it separately when changes occur. This system was manageable, but it doesn’t scale well, and something new is needed if more products are to be added to the mix. The solution to this problem has been introduced in iOS 8, and it’s called size classes. Size classes make it easier for developers to create apps that work well with different screen sizes and shapes. Without getting too technical, the new features allow developers to design a single interface that can automatically adapt based on what kind of screen it appears on. It is now much simpler to design apps that look good on the iPhone and the iPad, and can scale well to different sizes in between. Although this feature was most likely added to work with the expected larger screen of the iPhone 6, it could also help with developing apps for new devices. Apple could introduce a watch that comes in various different shapes and styles, and developers could easily make apps that will adapt to the screen they are presented with. One of the biggest arguments against smartwatches and other peripheral devices is that they are unnecessary. Buying an expensive watch seems like a waste of money when you have the same information on a bigger, more powerful computer right in your pocket. Current smartwatches try to replicate the experience of a smartphone, but it will always be less satisfactory due to the size constraints a watch presents. For example, if you’re reading an email on your watch, but you want to type up a response on your larger phone screen, you have to open up your phone and find the email before responding. Having the extra device on your wrist just makes things more complicated if you end up doing the same thing on your phone again anyway. 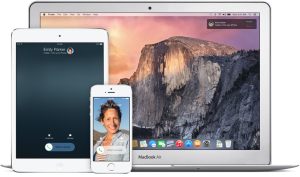 With the new continuity features in iOS 8, transferring between devices is much easier. A new feature called “Hand Off” allows you to open exactly what you’re looking at on another one of your devices. When you’re using an app that includes Hand Off functionality, a new icon will appear on the lock screen of all nearby devices, and tapping on it allows you to open up the same app to the same content you were just looking at. This allows you to seamlessly switch between devices without thinking, and your content is always in front of you. In this way, your devices can compliment each other, instead of replicating each other. Continuity also lets devices share features with others near by. 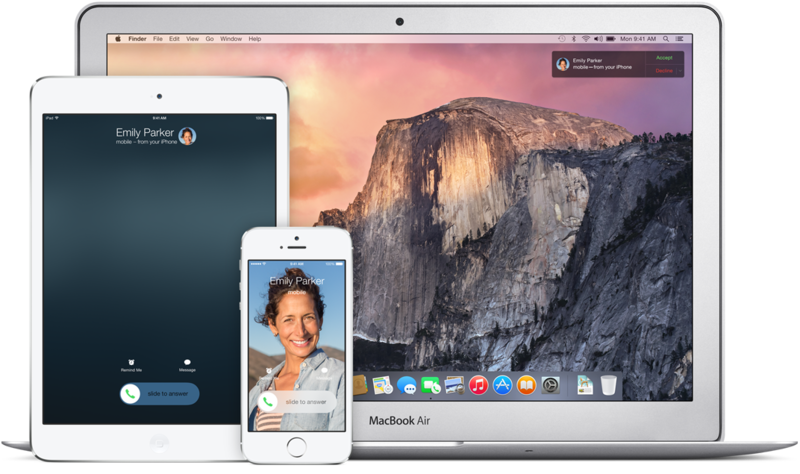 For example, if you want to make a phone call from your Mac, it can automatically connect with your iPhone and use it’s hardware to perform the call. Using this kind of hardware sharing, your smartwatch could provide many of the features of your larger devices, without having to include all the bulky hardware. It could also have sensors of it’s own that it could use to share data with your other devices. In this way, a smart watch could collect new data that can’t easily be gathered by the iPhone in your pocket, (like health information, for example) and transparently share that information with other devices in your network. Although these features may or may not make it into Apple’s upcoming devices, they definitely show the direction Apple is going. With iOS 8, your devices will work together better, and it will definitely be exciting to see what’s coming next. Daniel is studying computer science with a minor in entrepreneurship at the University of Saskatchewan. He is currently on his second internship with Push and works as their Quality Assurance Engineer. Daniel hopes to use his degree to make apps that can improve people’s lives.